Our Blast resistant shelters are resistant to blasts up to 6 psi. 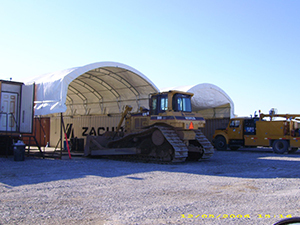 We offer many standard tent sizes, but since we have our own manufacturing facility right here in Zachary, Louisiana, we can build custom shelters to fit any needs. With 28 years under our belt, there has been many challenges. 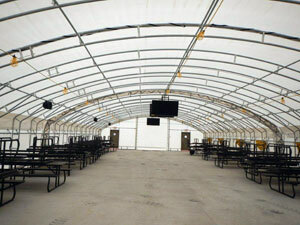 The Industry is forever changing, and here at Southern Comfort Shelters we have done the same. 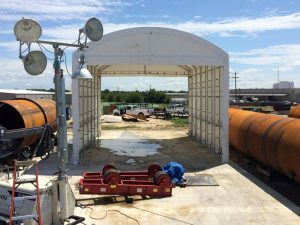 We never underestimate the importance of an issue that our clients present to us, like the need for blast resistant shelters, so we invented the technology behind our Matador Blast Resistant Shelters. We simply go to work and figure out a solution to eliminate the obstacles. After decades of being in business we have adapted and seen a lot of changes, but we are willing to face the next hurdle with our clients' best interest at heart. hopefully be able to say that you are our next satisfied customer.